Desktops, Laptops, Servers and more. Whatever your business IT needs are, we’re here to help. 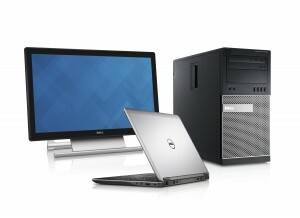 With a wide variety of systems from Dell and Lenovo, we have solutions for every need. Whether you’re looking for new computers, upgrades for your current systems, assistance installing computers you’ve already purchased or just support for your existing network, we can help! Make sure your network fits the needs of your business. With free network evaluations, SAMSA can provide extensive recommendations on what server configurations will help your business the most. As a Dell partner, we can provide the new server and install it for you. Our support doesn’t end there either – with a variety of services such as proactive server maintenance and guaranteed service levels, we’ll help you get the most out of your network. Don’t settle for reactive maintenance when it comes to your network. With SAMSA’s Proactive Server Maintenance, we’ll monitor your server for potential issues, ensure the latest security updates are applied and keep your antivirus and backup solutions running at their best!